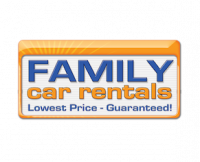 Family Car Rentals have an enviable reputation for providing industry leading value and service and second-to-none vehicle presentation standards. Established in July 2001, we have a reputation for providing industry leading value and service and second-to-none vehicle presentation standards. If you are looking for the best value car hire packages and the best car rental service, you have come to the right place. Gold Coast Family Car Rentals has a branch at Burleigh Heads in the Gold Coast and a branch at Newport in the Northern Beaches region of Sydney. Gold Coast Family Car Rentals are your holiday car rental headquarters and your family's holiday will be enhanced with the lowest car hire prices and premium level attention to your car rental needs. Our rental terms and conditions have been independently judged by CarHire Guide to be the most "Consumer Friendly" in Australia, with the widest scope of low cost insurance coverage options. Lowest price and fairest rental contract terms and conditions - both guaranteed! 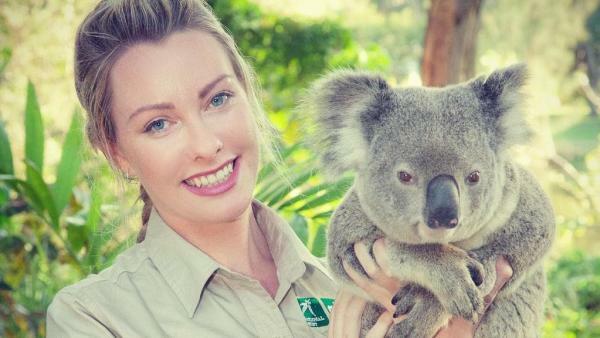 Currumbin Wildlife Sanctuary may be popular with tourists and locals alike, but it’s no money-spinner. It needs all the help we can give it, says Gold Coast Family Car Rentals CEO Darryl Essington-Wilson. The famous conservation organisation has high costs, a growing number of injured animals to care for, and an expanding portfolio of conservation activities that extend beyond its boundaries. Gold Coast Family Car Rentals employees already know which tourist attractions and activities to recommend to customers, and as one of the Gold Coast’s most famous tourist attractions, Currumbin is an obvious contender for top spot. But, he says, there’s more to supporting the Sanctuary than pointing tourists in the right direction. Currumbin accepts direct donations, and just because there are so many feet through the door, we shouldn’t think extra cash isn’t needed, says Darryl. “Challenge your staff with a whip-around and match their donations up to a certain value,” he suggests, “and perhaps you can think of something relevant to your business to make a more ongoing contribution – we’ve found one,” Darryl says. The Sanctuary also has an “Adopt an animal” program, and Darryl recommends signing up to the program as a fun way of personalising a regular donation. The Animal hospital can even benefit from tourism industry castoffs. Guest houses and hotels should consider donating old towels and sheets that can be used to gently restrain animals undergoing treatment. Old wetsuits, which Currumbin uses to make anaesthetic masks, are also in demand. And if your business can afford it, being a corporate partner isn’t as expensive as it may sound on the surface. There’s a lot more to the Gold Coast than surfing and the beaches. Darryl says that car rental customers from all over the world all rave about the natural wonders and the surroundings. He believes that by supporting environmental causes like Currumbin Wildlife Sanctuary, we’re not only giving back to the area that makes our businesses successful but ensuring the longevity of our businesses. The message from Gold Coast Family Car Rentals is clear: endorse, recommend, and if you can, take it a step further and provide financial support for Currumbin Wildlife Sanctuary. If you are looking for a car rental in the Gold Coast area, particularly from Coolangatta to Surfers Paradise, and including the Gold Coast Airport, visit Darryl’s website Cheap Car Hire Gold Coast and Gold Coast Airport Car Rental to get an online quote or book online, and if you’re ready to pledge support, the Currumbin Wildlife Sanctuary is the place to visit in person or online.